SKU: Dahlia. Category: Bridal Gowns. 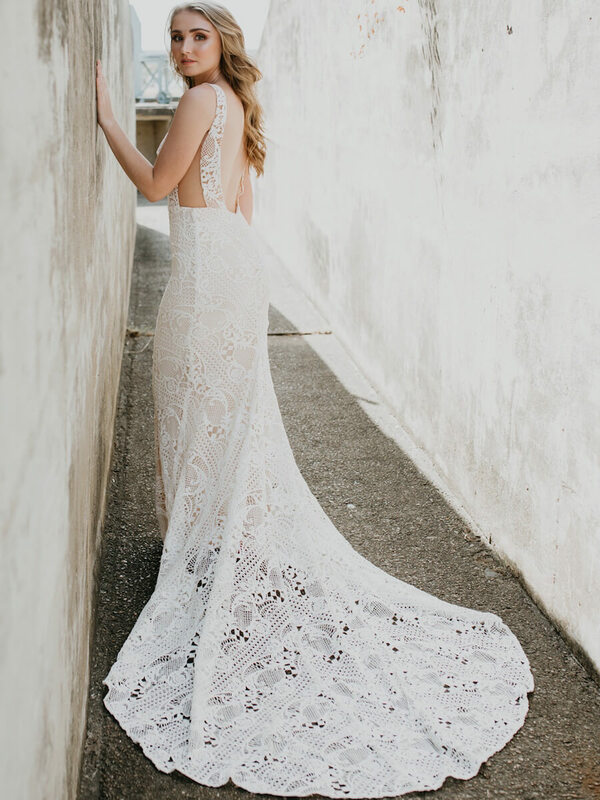 Our Dahlia bridal gown is effortlessly chic and cool. Designed for the bride with panache. Dahlia is made using the finest crochet lace fabric. It hugs the body’s curves in a natural and comfortable way. The low V-neckline compliments the bust area, while the tulle panels expose each side and an open back adds extra charm. The skirt is fully lined with comfortable jersey stretch lining and extends into a beautiful long train.